Jason - DatCurious.comDatMoney.comAlthough, I normally don’t do New Year’s Resolutions (because I find it as an excuse to actually do something I should’ve already been doing), this year I will plan on giving back to the blogging community, especially my audience. I’m not sure how I will do it yet, but I definitely will. 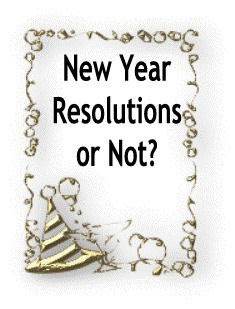 Leena-Conceptisaddict-My resolution years ago was that I do not do resolutions! I can however promise to keep on solving puzzles and blogging. thanks for to have improved my meme!!! Ouch! I've avoided this topic since the last decade LOL...... I'm glad you remembered me though. Give me a week to post. Hello Leena, I don't have any new year's resolutions. I gave up on them years ago. Now I just try to do the best I can with each year.